Apartment is greatly located in Nha trang central. There are very much style room: Deluxe room, Standard room, special Couple honeymoon Rooms Nha Trang. It is very quiet and romantic. 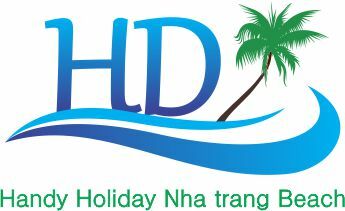 It could take 20 usd (450.000 vnd) from Cam Ranh Airport to Handy Holiday Nha trang Beach Apartment by Mai Linh taxi or book service shuttle of Handy Holiday, cost 20 usd to your apartment. You could go to “Mud Bath” at I-resort, Vinpearland, Four Island, HonTam Island.... They are very nice destinations for guests to travel or take some beautiful photos. The beach is just a few steps away. You could walk along the beach side, swimming, do exercises anh use sun bath service or take some great photos, sea swimming Nha Trang.